Backpack. 600 polyester fabric with synthetic leather inserts. Ergonomic and breathable backrest. Padded shoulder straps. Lateral and front storage pockets. 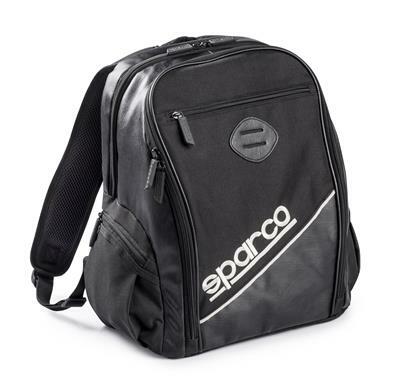 Large front pocket with synthetic leather finishes, document and pen holder compartment with zipped pocket Laptop padded rear pocket with secure lock, storage compartment and zipped pocket. Customizable.